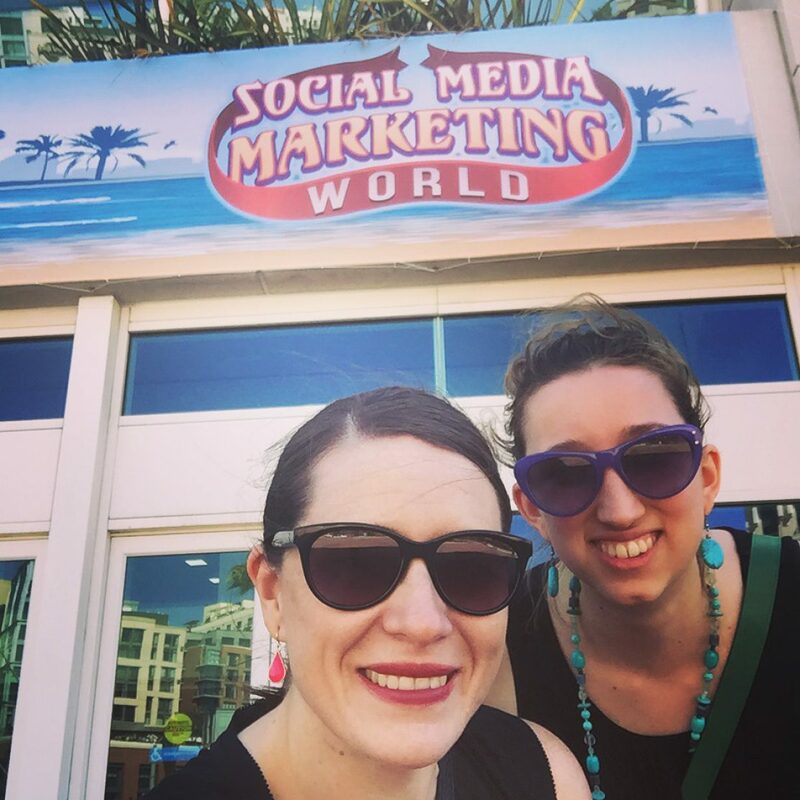 I live in the world of social media marketing geeks, where we spend all day talking about how small businesses can effectively use their Facebook business page to market themselves. There’s a lot of tools out there to measure ROI of your marketing efforts. Facebook has Insights for business pages, and there’s a lot of free and paid tools that exist as well. 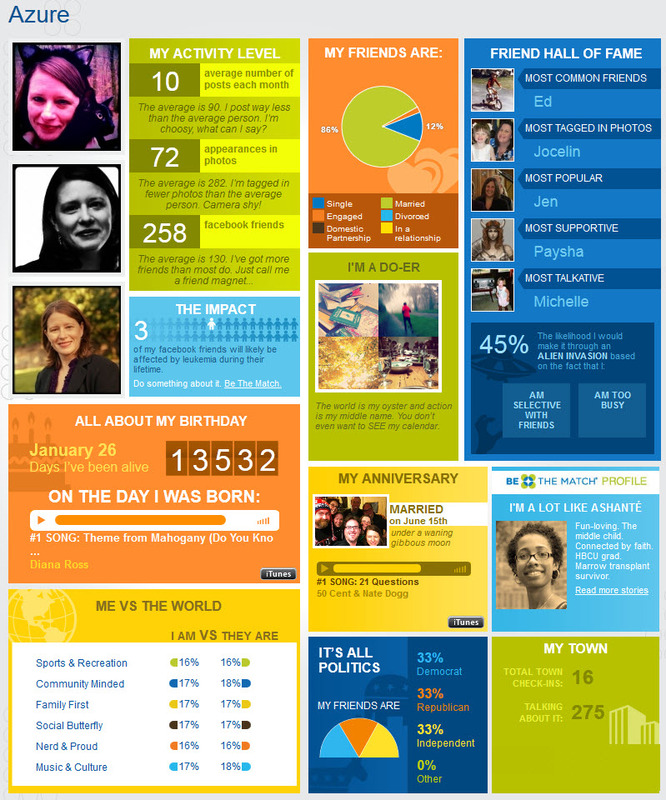 But what kind of impact are you making with your personal Facebook profile? 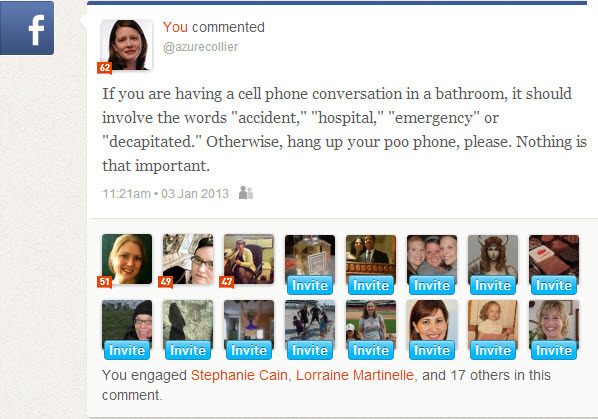 Who is engaging with the content you’re posting for your personal networks? What types of posts do your friends engage with? Before we go any further: I am NOT talking about using a personal profile as your business page. If your business’s Facebook account has friends – not Likes – you are not using the right account. Stop reading this right now and convert your business’ personal profile to an official Facebook business page. Trust me. You’ll thank me. Apparently I say the word awesome a lot in my posts! 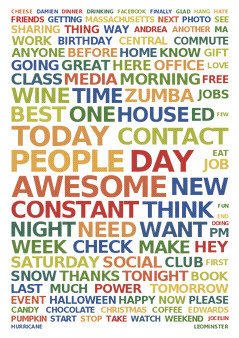 What words you use most frequently – and a word cloud! One of my most popular recent Facebook posts. Looks like my friends want more stuff like this. If you haven’t signed up for Klout, you’re probably not a marketing geek. Klout provides each of its users with a score that shows how influential they are on social media. Klout measures your influence based on your ability to drive action on social networks. The Klout Score is a single number that represents the aggregation of multiple pieces of data about your social media activity. We compute the Klout Score by applying our score model to these signals. Marketers like to roll their eyes at the impact of a Klout score, but it’s also a bragging right. I think it’s fun, and I have a little bit of trash talk going on about the scores with a handful of people. Klout monitors your personal Facebook activity, plus 11 additional social networks. It gives you a look at the most popular content you’re sharing on your personal Facebook profile – the posts with the most likes and comments, and who you engaged with. This last tool – from the National Marrow Donor Program – creates a cool infographic about your Facebook activity and networks (and suggests possible donation matches) that you can post to your Facebook page. A personal infographic! Woo hoo! You’ll get some interesting facts about yourself vs. your friends, which friends are most engaged with you, and your average activity level on Facebook. I hope you try out these tools too! Let me know if you’ve found any more tools like this in the comments.